Investors special! Move in ready! Two bedroom, two bathroom upstairs unit with stainless steel appliances. 864 sqft of living space. Community pool and HOA of $165 a mo. Rental comps around $650 mo. ​Contact The Adams Team at Rothwell Gornt Companies for more info and showings 702.349.9175. COMING SOON LISTING | Not on the MLS yet | 5 Bedrooms | 2.5 Bathrooms | Pool | 2 Car Garage | Single Family House. COMING SOON! SEE THIS HOME BEFORE IT HITS THE MARKET! WOW WHAT A DEAL! 5 bedrooms, 2.5 bathrooms, with a 2 car garage AND A POOL! Just under 2,200 sqft of living space with a large lot OVER 10,000 sqft!! This home is a must see and it will sell within days once it hits the market for $305,111. We would like to talk to the buyers out there about our new listing we have coming to the market. Be the first to get information on these listing and if you like to be the first to schedule a private showing. If you need a lender to assist you with your financing please let us know as we work with some of the best lenders in town and would be happy to connect you with them. 18 Recent Closed Deals in the past 60 Days with $4,441,722 in Sales Volume. Thank you to all of our wonderful clients! ATTENTION HOME BUYERS: 4 New For Sale Listings NOT on the MLS yet! 1 Condo unit & 3 Single Family Homes in Las Vegas! We would like to talk to the buyers out there about four of our new listings we have coming to the market. Be the first to get information on these listings and if you like them be the first to schedule a private showing. Proud Supporter of Our Military - The Veterans Advocacy & Benefits Association. The Adams Team at Rothwell Gornt Companies loves our Veterans! We have great lenders and agents that specialize in VA loans and we are very familiar with buying and selling process for our Vets. You have worked hard and we appreciate your service for our country and we would like to now return the favor and offer our services to help protect you throughout the buying and selling process. 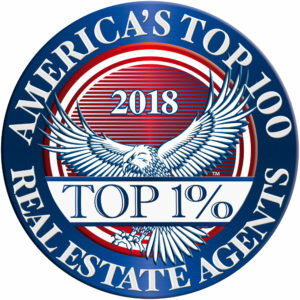 Looking for a reputable Realtor to List your home for sale? Need a Buyers agent to help you find deals? ​Looking for a reputable Realtor to List your home for sale? Need a Buyers agent to help you find deals? We have 119 reviews from past clients that you can read at the link below. See why our clients use us over and over again. We would love to earn your business. FOR SALE ONLY $310,111 ~ 7914 Teal Harbor Las Vegas, NV 89117 ~ 3 bedrooms with a Den and 2 bathrooms ~ 2 Car Garage. 3 New Rental Listings ready for you to move in! Beautiful and Spacious 2 bedroom, 2 bathroom condo in a convenient location near Summerlin. ​Features an open floorplan with fireplace! Kitchen with breakfast bar and dinning nook. Great size bedrooms! Small pet is ok with deposit. 1,136 sqft of living space, great freeway access, minutes from the Las Vegas Strip, and close to shoping and restaurants. APPLY TODAY with The Adams Team at Rothwell Gornt Companies! EMAIL: Rentals@LVrealestateHELP.com for more info and showings. Nice 2 bedroom, 2 bathroom condo that is MOVE IN READY! Spacious open floor plan on the 2nd floor with stainless steel appliances with 864 sqft of living space. Newer carpets and laminate wood floors. Close to Nellis Air Force Base. Pets are ok with a pet deposit. APPLY TODAY with The Adams Team at Rothwell Gornt Companies! EMAIL: Rentals@LVrealestateHELP.com for more info and showings. Beautiful 2 Story Condo with 3 Bedrooms, 2.5 Bathrooms and an attached 2 car garage with over 1500 square feet of living space. Property was just freshly painted. Owner just also put in brand new carpets and also brand new vinyl floors. Located on the Northwest side of town close to Freeways and shopping. APPLY TODAY with The Adams Team at Rothwell Gornt Companies! EMAIL: Rentals@LVrealestateHELP.com for more info and showings.